Happy Tuesday, friends! I've found a lot of great deals from the Nordstrom Anniversary Sale so far including this adorable wrap dress. 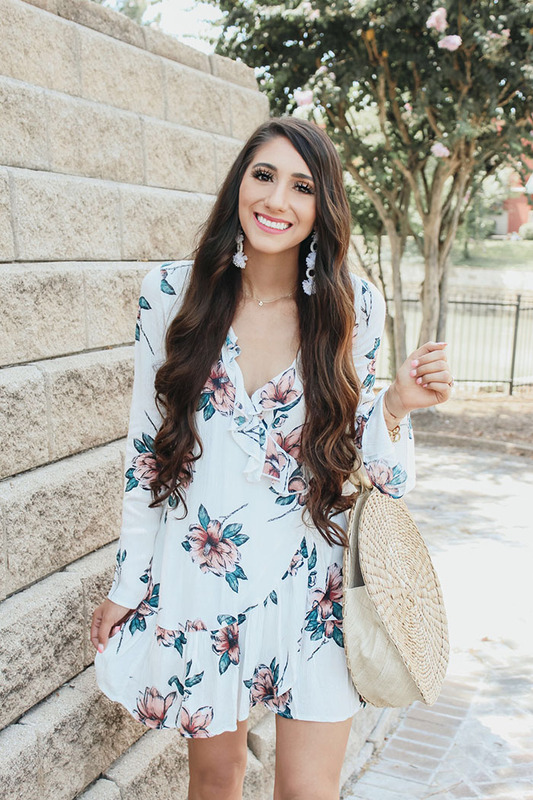 This dress is perfect for transitioning into fall weather. You're probably wondering why I'm already thinking of transitional outfits when it's 100 degrees in Houston. I've noticed that colder weather can come on suddenly after July so I love to have a few staple pieces to so I'm not caught off guard. 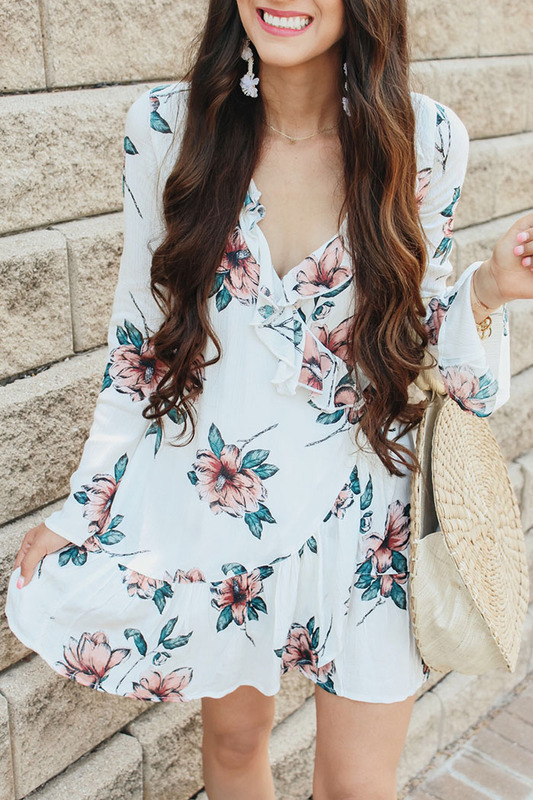 I wore this dress with my typical summer accessories but you can also pair this dress with knee high boots and a cute side bag!